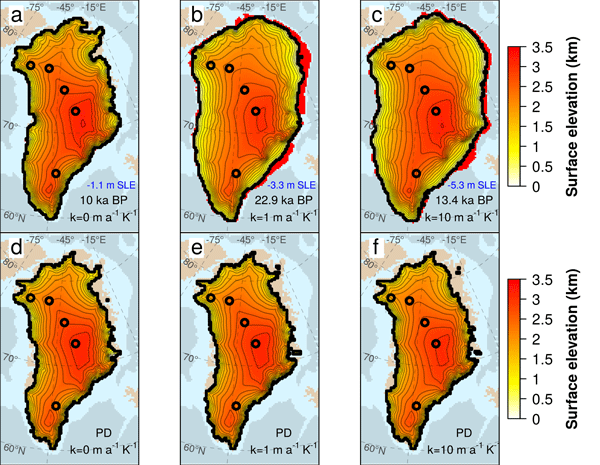 The response of the Greenland Ice Sheet (GrIS) to palaeo-oceanic changes on a glacial–interglacial timescale is studied from a modelling perspective. A 3-D hybrid ice-sheet–shelf model which includes a parameterization of the basal melting rate at the GrIS marine margins is used. The results show that the oceanic forcing plays a key role in the GrIS evolution, not only by controlling the ice retreat during the deglaciation but also by driving the ice expansion in glacial periods. 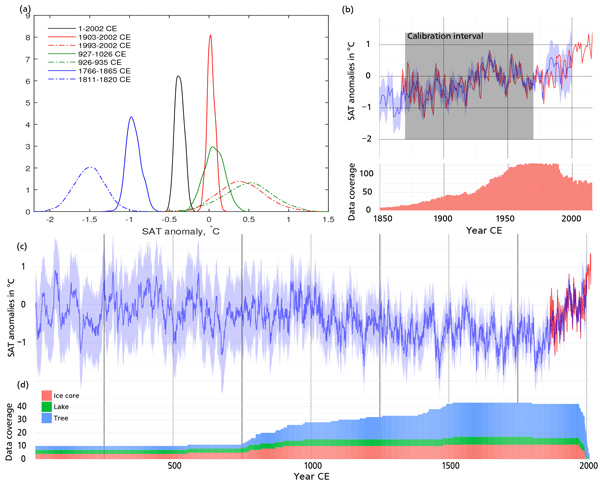 This paper reviews the current knowledge of Arctic hydroclimate variability during the past 2000 years. We discuss the current state, look into the future, and describe various archives and proxies used to infer past hydroclimate variability. We also provide regional overviews and discuss the potential of furthering our understanding of Arctic hydroclimate in the past. This paper summarises the hydroclimate-related activities of the Arctic 2k group. 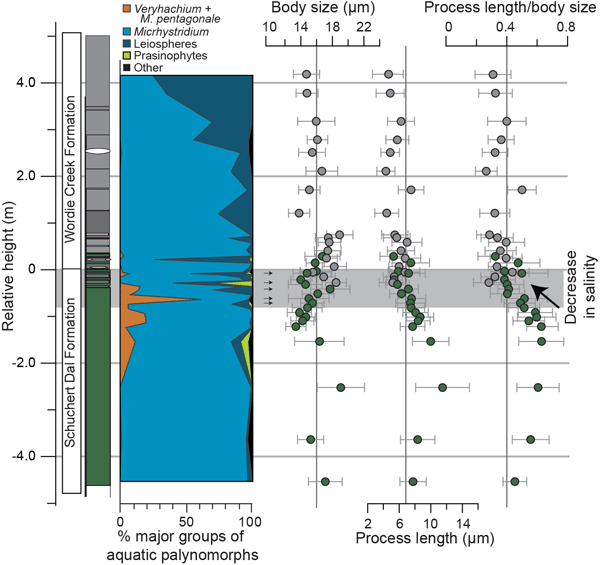 Palaeoclimate reconstructions from deep-sea sediment archives provide valuable insight into past rapid climate change, but only a small proportion of the ocean is suitable for such reconstructions using the existing state of the art, i.e. the age–depth approach. 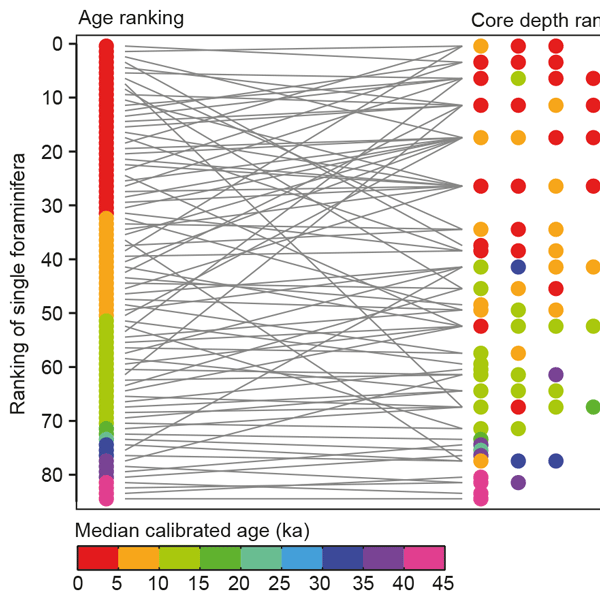 We use dual radiocarbon (14C) and stable isotope analysis on single foraminifera to bypass the long-standing age–depth approach, thus facilitating past ocean chemistry reconstructions from vast, previously untapped ocean areas. We present a new gridded Arctic summer temperature reconstruction back to the first millennium CE. Our method respects the age uncertainties of the data, which results in a more precise reconstruction. 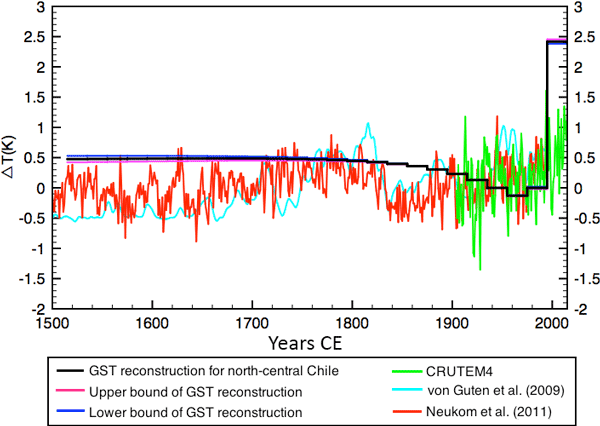 The spatial average shows a millennium-scale cooling trend which is reversed in the mid-19th century. While temperatures in the 10th century were probably as warm as in the 20th century, the spatial coherence of the recent warm episodes seems unprecedented. We compiled 31 temperature–depth profiles to reconstruct the ground surface temperature of the last 500 years in northern Chile. They suggest that the region experienced a cooling from 1850 to 1980 followed by a warming of 1.9 K. The cooling could coincide with a cooling interval in 1960. The warming is greater than that of proxy reconstructions for nearby regions and model simulations. These differences could be due to differences in spatial and temporal resolution between data and models. The paleo-East Asian summer monsoon (EASM) is widely reconstructed by precipitation/humidity proxies over East Asia. However, based on numerical simulations over the last millennium, we find that the multi-decadal relationship between the EASM and precipitation over eastern China is non-stationary, which may be attributed to the internal variability of the climate system rather than the external forcings. In contrast, the centennial EASM–precipitation relationship is much more close and stable.